The mean number of 90°F days in July compared to what the region has seen so far this July. Based on data from 1981-2010, the mean number of July days with a high of 90°F or higher ranges from 1 in Caribou, ME; Binghamton, NY; and Beckley, WV to 14 at Washington National, DC. 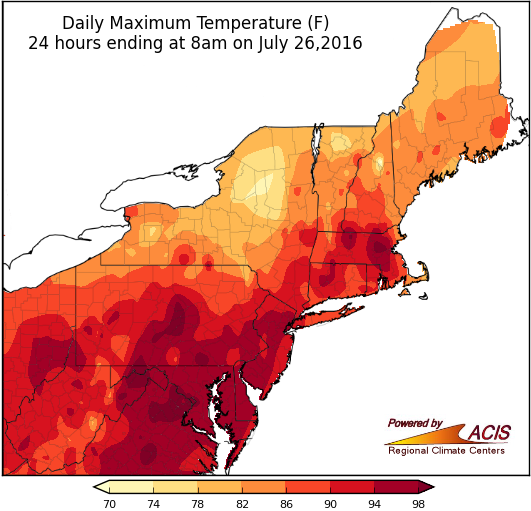 This July, 26 of the region’s 35 major climate sites have seen an above-average number of 90°F days. 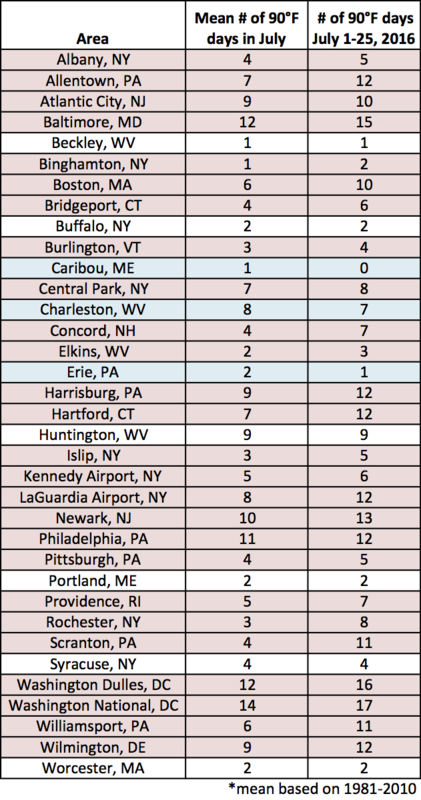 While the Baltimore-Washington D.C. area has seen the greatest overall number of 90°F days (15-17 days), Scranton, PA has seen the largest departure from average with seven more 90°F days than usual. On July 25, the three Baltimore-Washington D.C. sites topped out at 100°F for the first time since July 2012. High temperatures for July 26.